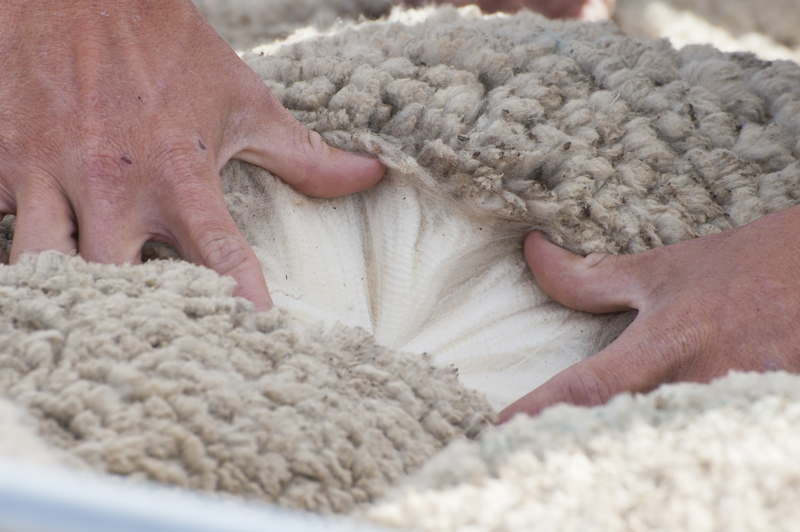 If last week was bad for wool prices, it turned out that it was only the start of the fall. This week, no segment was spared, and the full force of the correction was felt causing the market to fall dramatically. The Eastern Market Indicator (EMI) fell 96 cents on top of last week’s 53 cents fall, to end the week at 1,874 cents in AU$. This is the lowest close since May. Despite the Au$ easing almost ¾ of a cent, the EMI in US$ terms was also hit hard, dropping 78 cents to end the week at 1,327 US cents (Table 1). The last time the US$ EMI closed below 1,350 was December 2017. In Fremantle, the Western Market Indicator (WMI) lost ground, falling 61 cents on the back of last week’s 76 cents fall to end the week at 2033 cents. Again, sellers adopted a strong position to the falling market, passing-in 23.6% or 8,150 of the 34,522 bales that came forward. This resulted in a clearance to the trade for the week of 26,372 bales, the lowest sale clearance for this season. This again produced a reduced dollar value for the week of $57.23 million, with a combined value just ticking over the $billion mark to $1.10 billion so far this season. In the auction weeks since the winter recess, 397,365 bales have been cleared to the trade, 76,273 fewer than the same period last year. The average shortfall cleared to the trade compared to the same time last year continues to grow and now sits at 6,356 bales per week fewer (Figure 2). The market peaked in August when the EMI topped out at 2116; since then the retracement has been of the order of 11%, while the 19 MPG has pulled back 9%. The last 2 weeks have been terrible for the wool market, almost 30,000 bales fewer sold compared to year-on-year figures, and the EMI has lost 7.8%. For the second consecutive week, the superfine end has been hit hard, as the weight of drought-affected wool has caused the 16 & 17 MPG’s to pull back 15% from the August peak. Cardings fell out of bed this week losing a massive 11% in Melbourne and have come back from their August highs by 26%. The offering next week is rostered at 40,000 bales; this week 7% of the rostered offering was withdrawn prior to sale so its most unlikely this number will get to the auction next week. As buyers try to anticipate the bottom of the market, the uncertainty doesn’t give much confidence that the market will stabilise next week.